This device should always be included in your luggage. Either surveillance cameras, bugs or infrared diodes, the PKI 4725 detects all wired and wireless units and thus protects you from being monitored anywhere. You can choose between optical alarm via LED-diodes, acoustic alarm via loudspeaker or silent alarm via vibration. 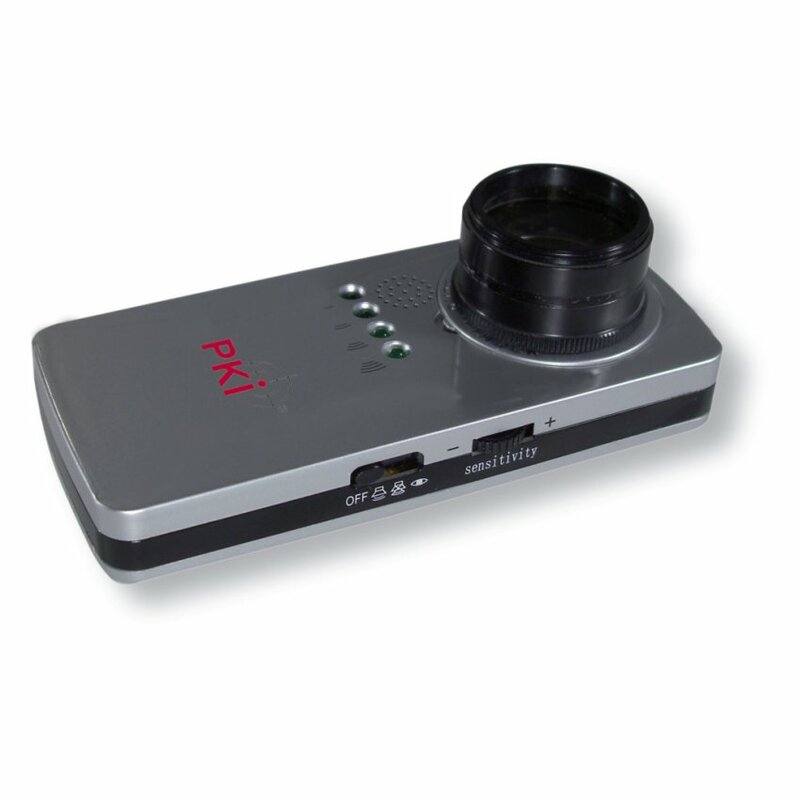 This camera and bug detector is the indispensable partner for protection of your privacy.